Since 1947, when the New York Knicks battled the Providence Steamrollers on Christmas Day, professional basketball played on Christmas Day became an annual tradition. For every year, with the lone exception of 1998, has seen an NBA game on Christmas Day. Unlike the NFL on Thanksgiving Day, the NBA doesn't feature one particular team but rather the best and brightest in the NBA on a given year, sometimes NBA Finals rematches, sometimes the biggest rivalries — either way it's a great ... See More tradition that's given us some of the best games of the season. 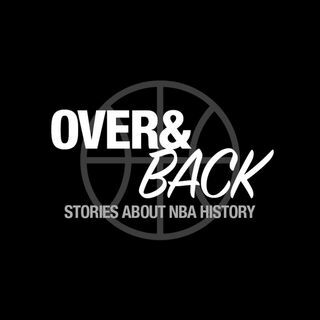 As only we can do here at the Over and Back podcast, we break down five classic NBA Christmas Day games, discuss the background of the teams, highlights of the game and how each team's season fared. We begin the loopback with the 1970 matchup between the Atlanta Hawks vs. Phoenix Suns featuring Pete Maravich battling Connie Hawkins, the Chicago Bulls taking on the Detroit Pistons in 1990 just as the Pistons are fading while the Bulls, Michael Jordan and Scottie Pippen were emerging as a dynasty. We then jump all the way to 2002 to see Tracy McGrady take on Detroit with one of the best single-game performances in Christmas Game history, 2004 sees the first meeting between ex-teammates Shaquille O'Neal and Kobe Bryant and we end with a look at the 2011 season-opener (Chicago Bulls vs. Los Angeles Lakers). Did you enjoy this show or any of our others? We'd appreciate it if you could review and subscribe to Over and Back and the other great Hardwood Paroxysm podcasts at http://goo.gl/fjGWeq. Thanks as always to SI Vault and Basketball-Reference.com for a majority of the information and statistics gathered in this podcast!